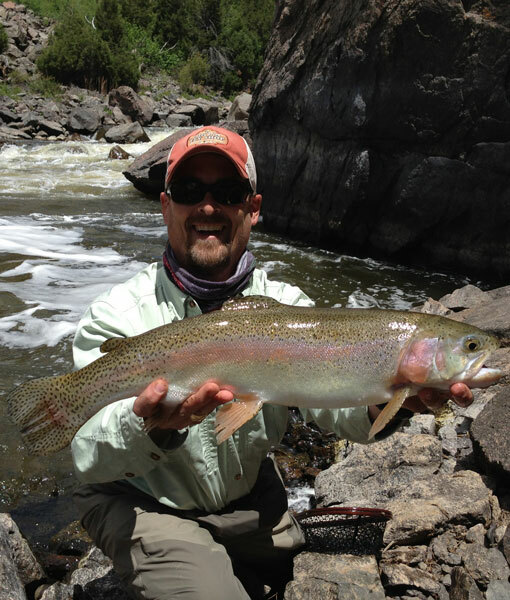 Professional Fly Fishing Guide in the Vail Valley since 2002. Over forty years of fishing experience. The last twenty-five years traveling with a fly rod to locations in: Colorado, Florida, California, Wisconsin, Pennsylvania, Kentucky, Indiana, Illinois, Ohio, West Virginia, Tennessee, Michigan, Minnesota, South Dakota, New York, Maine, Virginia, Utah, Nevada, Wyoming, Montana, New Mexico, Arizona, Hawaii, Canada, and in the Great Lakes — Erie, Superior, Michigan, and Ontario. Bahamas: Paradise Island, Abaco, and Green Turtle. Hawaii: Kauai, Maui, and Big Island. California: coast and Catalina Island. Florida: Panhandle, Gulfside, Atlanticside, and throughout the Keys. Labrador for giant brook trout, Big Laxa in Iceland with my little brother, South America (Peru) for Peacock Bass, and France for trout and grayling. Traveling with family, big game/small game/waterfowl hunting, bird dogs, and Art. First fish, kids buying their own fly fishing gear, and traveling to new water with a fly rod. Published writer with articles on fly fishing destinations in Colorado, Florida, California, and Ohio in Southwest Fly Fishing, Fly Rod & Reel, and Eastern Fly Fishing magazines.